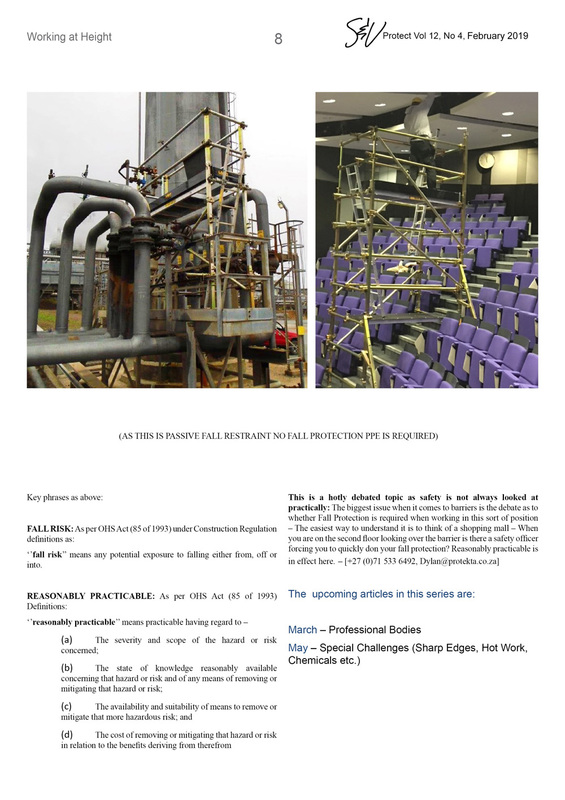 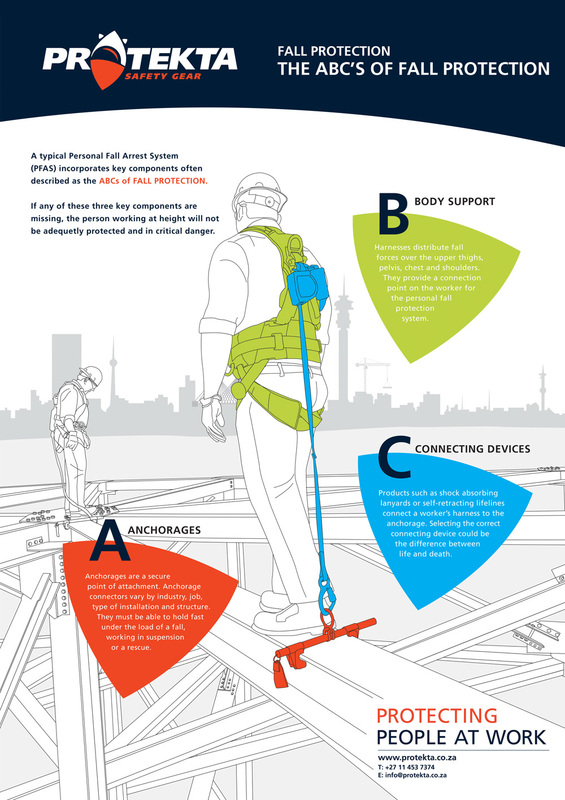 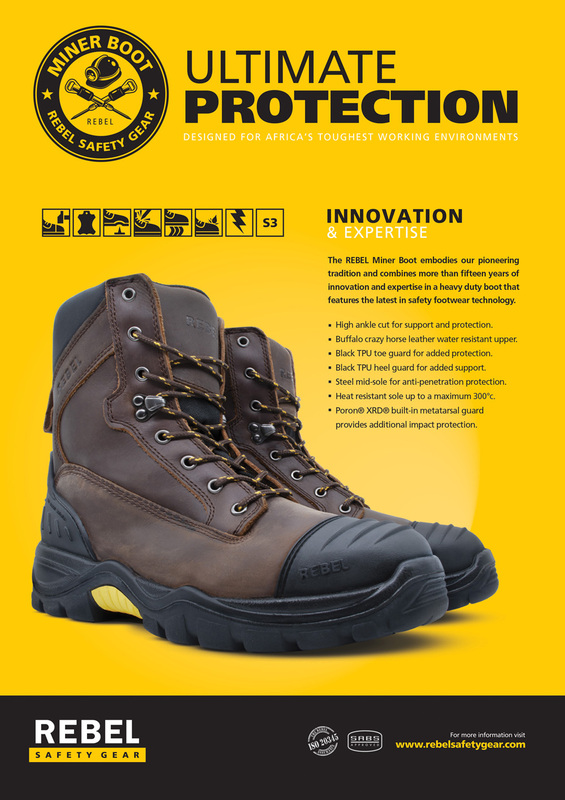 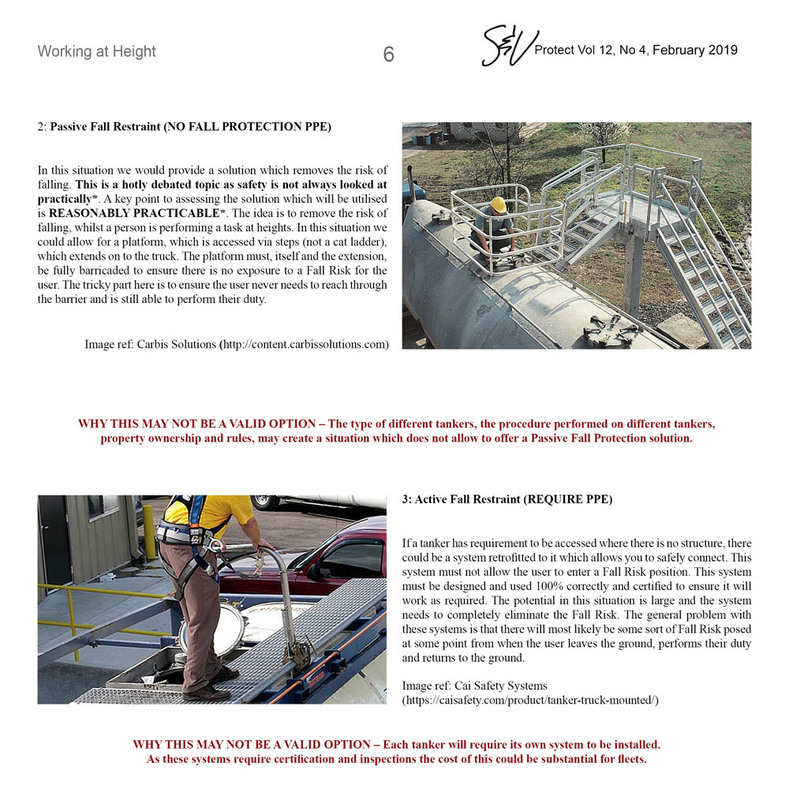 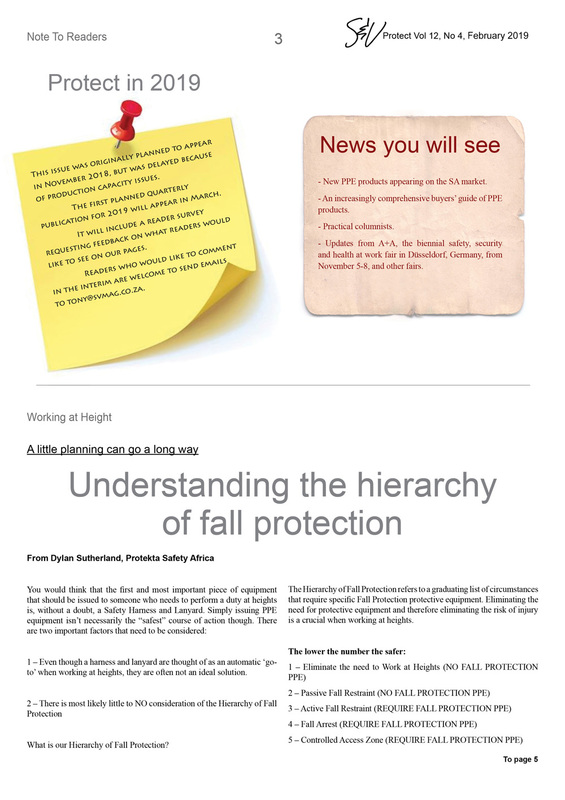 - Dylan Sutherland of Protekta Safety Africa writes on understanding the hierarchy of fall protection. 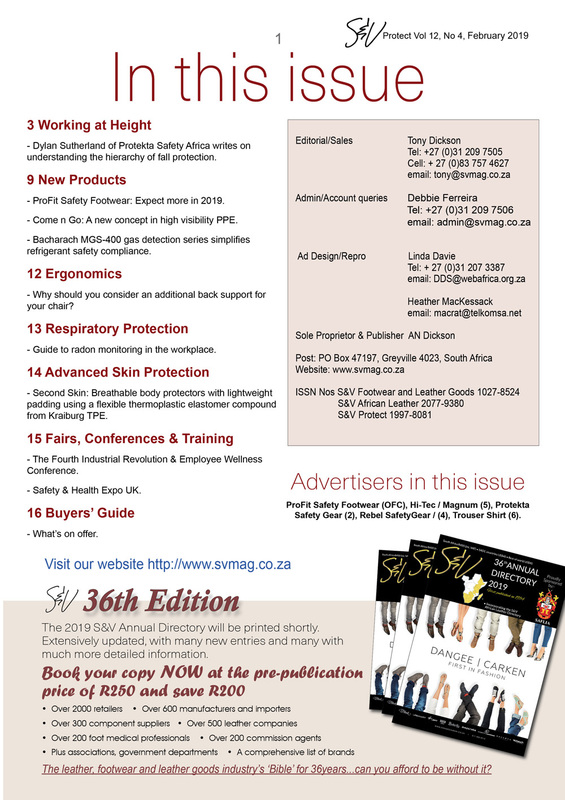 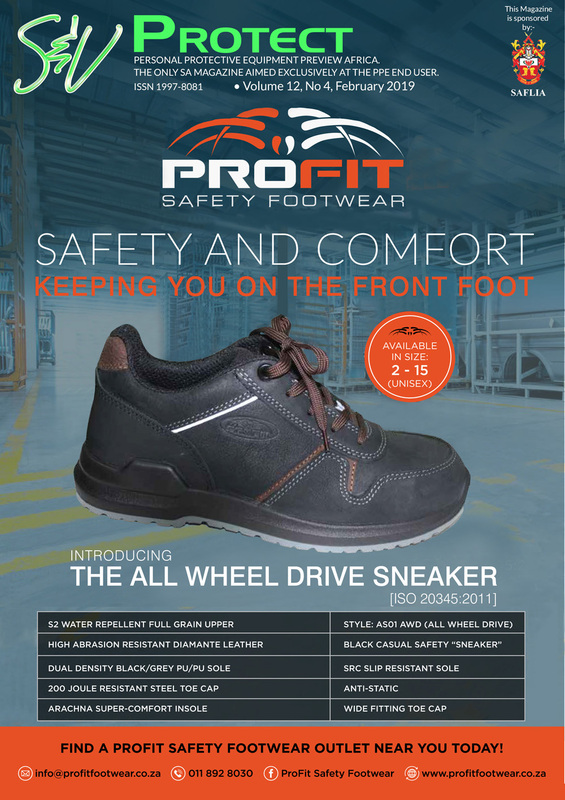 - ProFit Safety Footwear: Expect more in 2019. 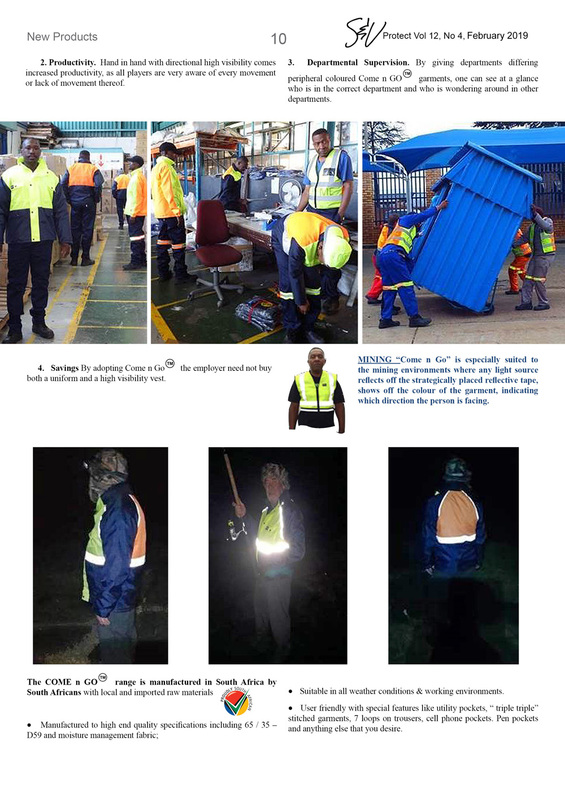 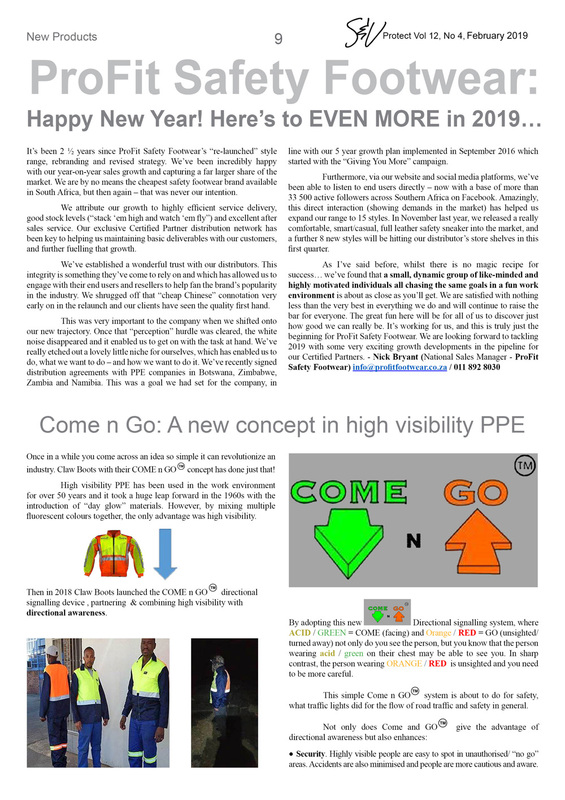 - Come n Go: A new concept in high visibility PPE. 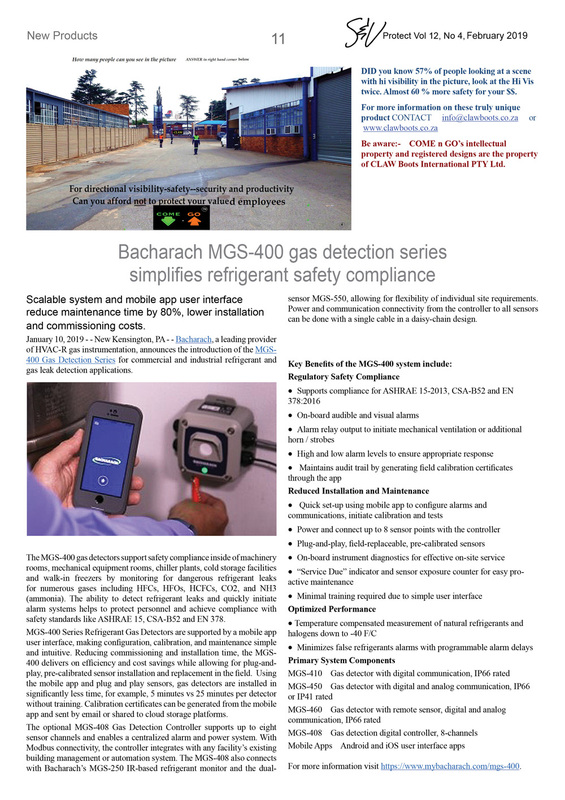 - Bacharach MGS-400 gas detection series simplifies refrigerant safety compliance. 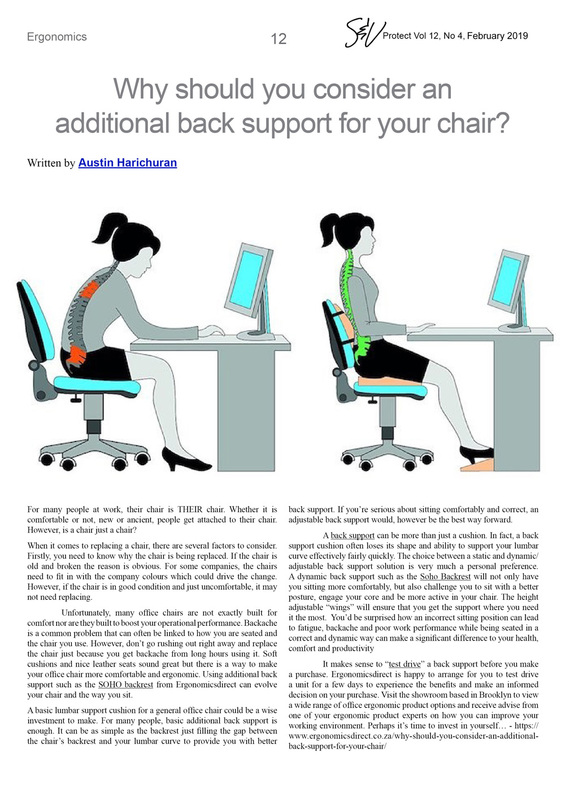 - Why should you consider an additional back support for your chair? 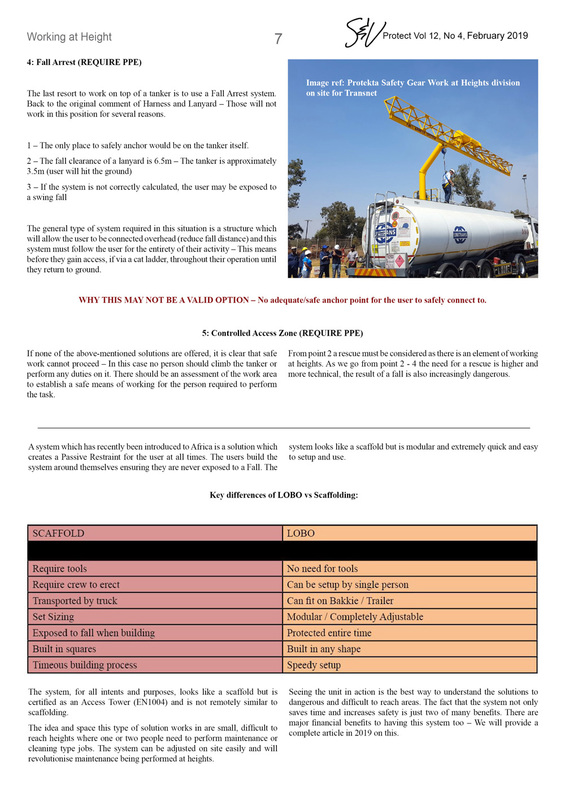 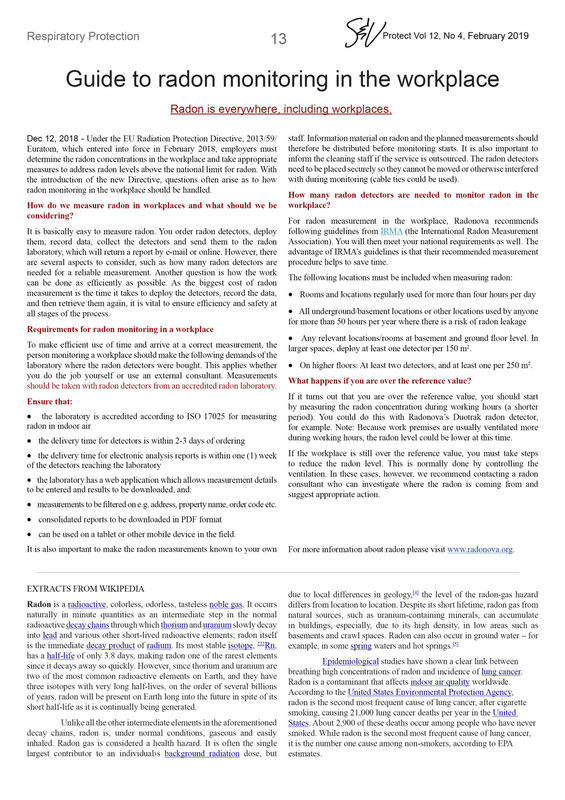 - Guide to radon monitoring in the workplace. 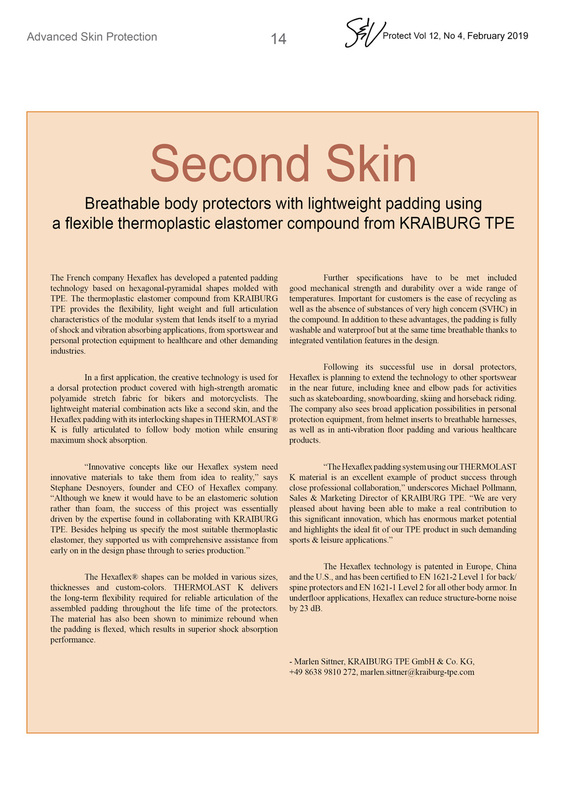 - Second Skin: Breathable body protectors with lightweight padding using a flexible thermoplastic elastomer compound from Kraiburg TPE. 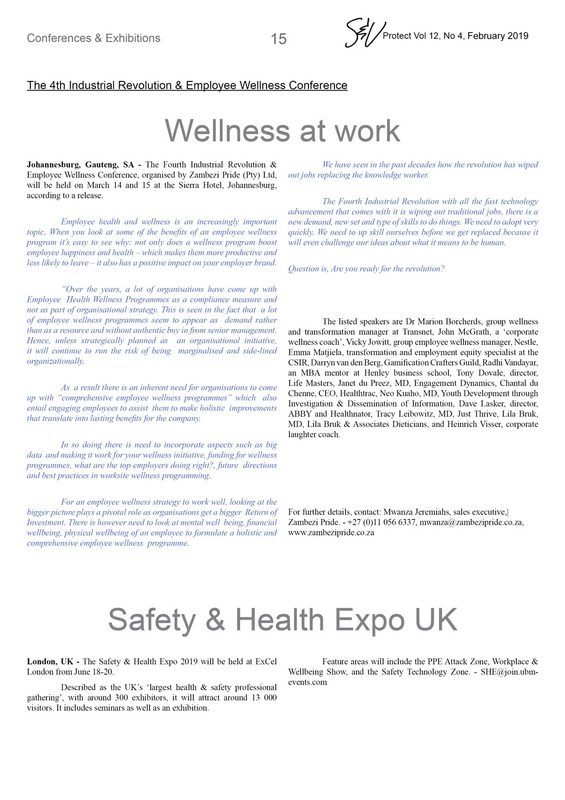 - The Fourth Industrial Revolution & Employee Wellness Conference. 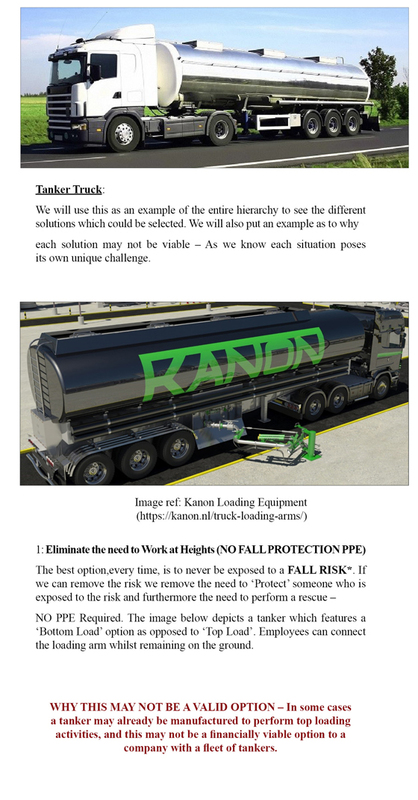 - Safety & Health Expo UK. 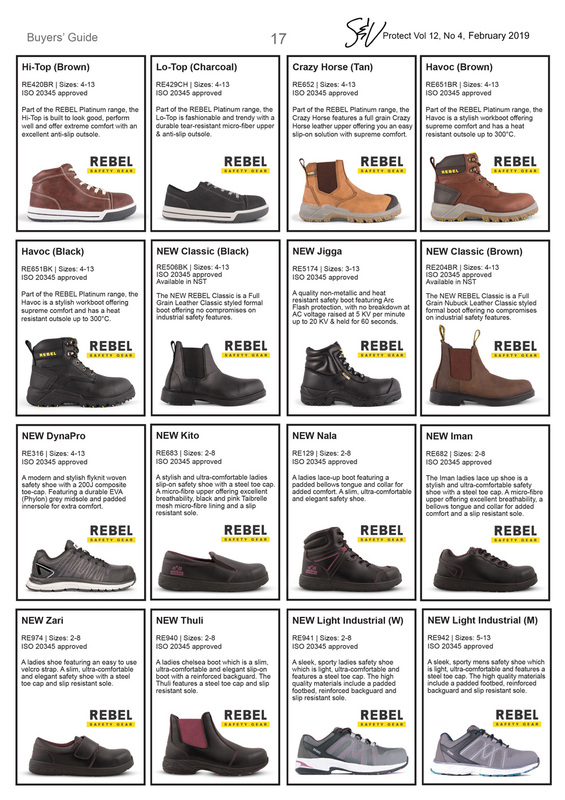 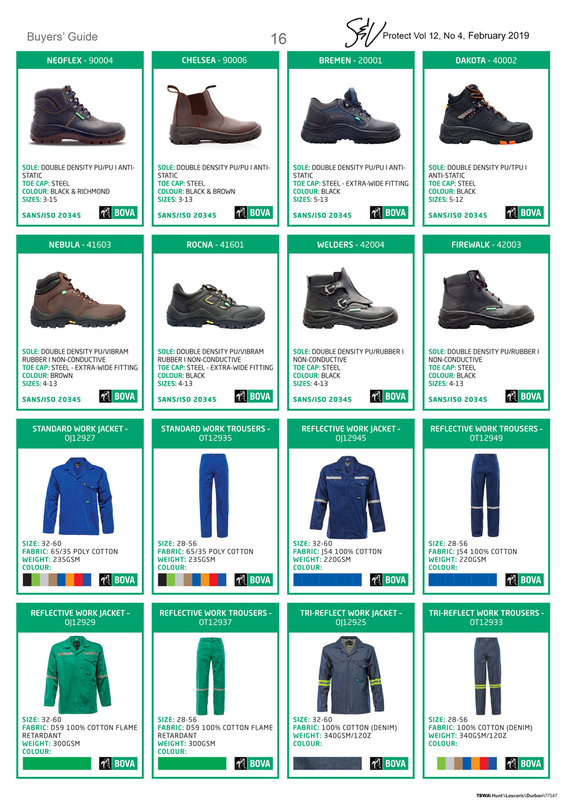 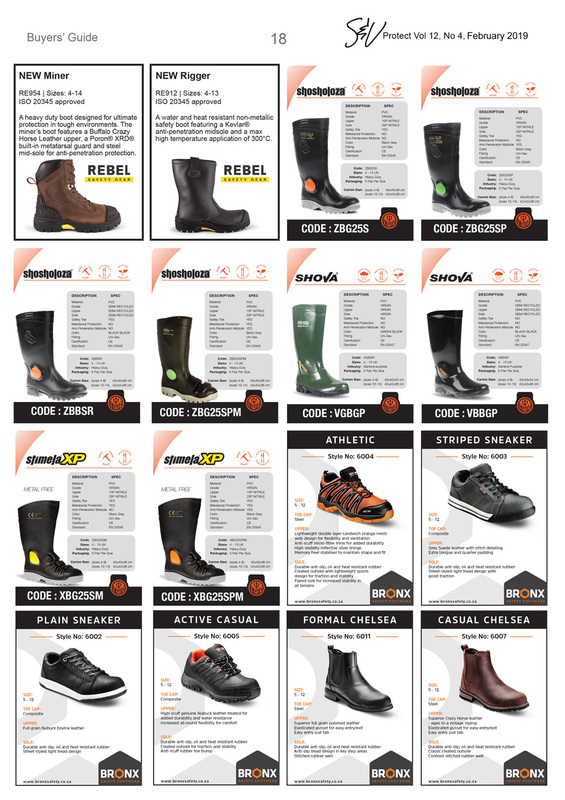 ProFit Safety Footwear (OFC), Hi-Tec / Magnum (5), Protekta Safety Gear (2), Rebel SafetyGear / (4), Trouser Shirt (6).